You are going to Watch Fairy Tail Episode 203 English dubbed online free episodes with HQ / high quality. 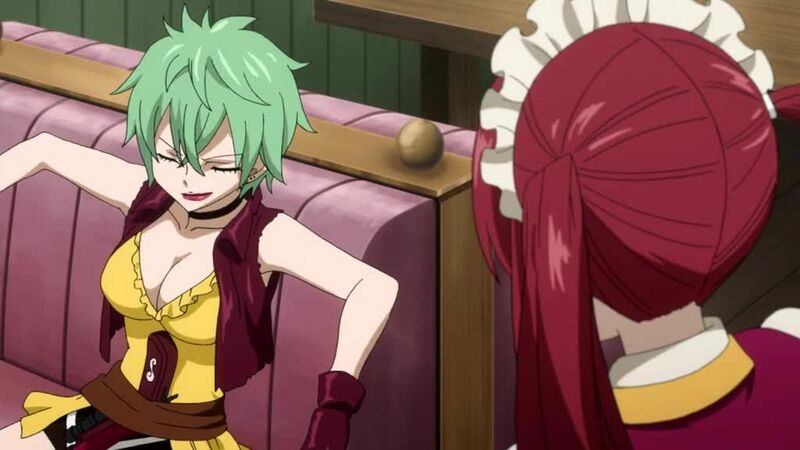 Stream Anime Fairy Tail Episode 203 Online English dub Moulin Rouge. In a flashback, Erza learns that a bandit named Moulin Rouge has been posing as a member of Fairy Tail in order to commit crimes. Erza tracks down and subdues Moulin Rogue, who confesses that she is unable to find work to pay for medicine for her pet mouse, Sonny. After reprimanding Moulin Rouge for impersonating Fairy Tail, Erza offers her work at the guild. Moulin Rouge reveals her real name, Bisca Moulin, and later joins Fairy Tail. 4.8 / 5 - 98 ratings.